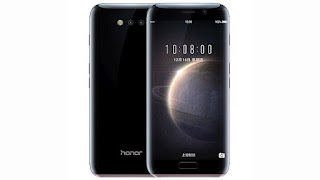 Following the launch of three flagship devices last month, Huawei has finally released its concept smartphone, Honor Magic. The smartphone is packed with some artificial intelligence features that are really impressive and all its edges are curved to perfection. One of its magical features is a digital assistant known as DeepThink that enables only preregistered users to access the notification messages. The home button also serves as a fingerprint scanner and for navigational purposes. Another standout AI feature is the Smart Services that gives users relevant recommendations when using the device. It works in a similar fashion to Google Now. Honor Magic comes with a 5.09-inch QHD (2560 x 1440 pixels) curved AMOLED display and runs Android 6.0 Marshmallow with Honor Magic Live OS. It is powered by Huawei’s Kirin 950 64-bit octa-core processor. For the rear camera, a 12MP sensor is present, while an 8MP camera adorns the front. There is 4GB of RAM and 64GB of internal storage. A 2,900mAh non-removable battery that supports Huawei Magic Power, which is a fast charging technology powers the device. The company claimed that it has the ability to charge a device up to 70% in 20 minutes and up to 40% in 10 minutes. Sensors that are present in the device include proximity sensor, gyroscope, accelerometer, ambient light sensor and magnetometer. Honor Magic comes in Golden Black and Porcelain White color variants. It will be available only in China for now.